Leasing your oil and gas rights can be a complex process. Before your minerals can be developed, an agreement must be reached with a company to acquire or lease your mineral rights. You will want to make sure you have as much information as possible prior to signing a lease agreement. Our dedicated land agents are there to help guide you through the process and make sure you have the information you need. Collins and Young has recently teamed up with Caffey Group, L.L.C. to further its leasing efforts in Tarrant County, Texas. Caffey’s experienced team of professionals has made them a trusted leader in lease acquisitions. When signing a lease with Caffey Group, you can have confidence that Collins and Young will be your partner in developing and producing your minerals for years to come. To learn more about Caffey Group, visit www.caffeygroup.com. Q: What is an oil and gas rights lease? A: An oil and gas rights lease is a contract allowing for the development of the natural resources under your property. 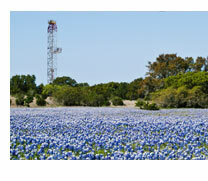 Q: How do I find out if I own the oil and gas rights to my property? A: Every state has different laws governing oil and gas ownership. If you are unsure about your ownership, please contact us at leasing@collinsandyoung.com. Q: What is a signing bonus? A: A signing bonus is the up front money. Signing bonuses are paid to the owner upon signing the lease and are generally calculated per acre. Q: What is a royalty? A: A royalty is money paid after natural gas is produced and sold to the market for distribution. The amount is based on a percentage of the amount the operating company receives for delivering the gas to market. Q: Why do my royalty payments vary? A: Oil and gas production and oil and gas prices vary from month to month. Thus, variations in volumes produces and price paid will cause fluctuations in your royalty checks. If you have any unanswered questions, please contact our qualified land agents at: leasing@collinsandyoung.com. ®2009 Collins & Young. All rights reserved.